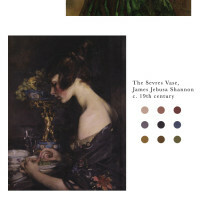 Ah, antique dresses and flowers. A match made in heaven. 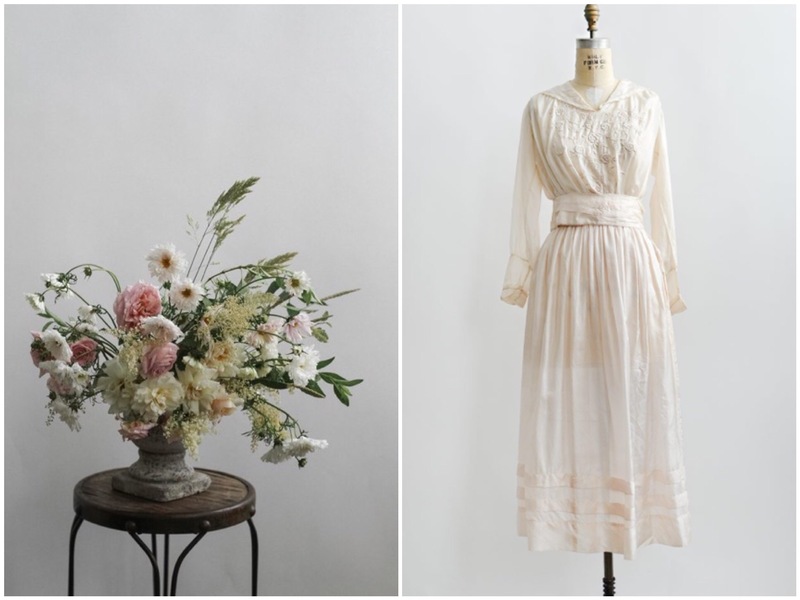 There are some really lovely antique pieces in the shop right now, and we really feel that nothing brings an antique dress to life more than flowers. With spring and summer coming, that means that flower picking, wedding, and all things flower season are coming up. 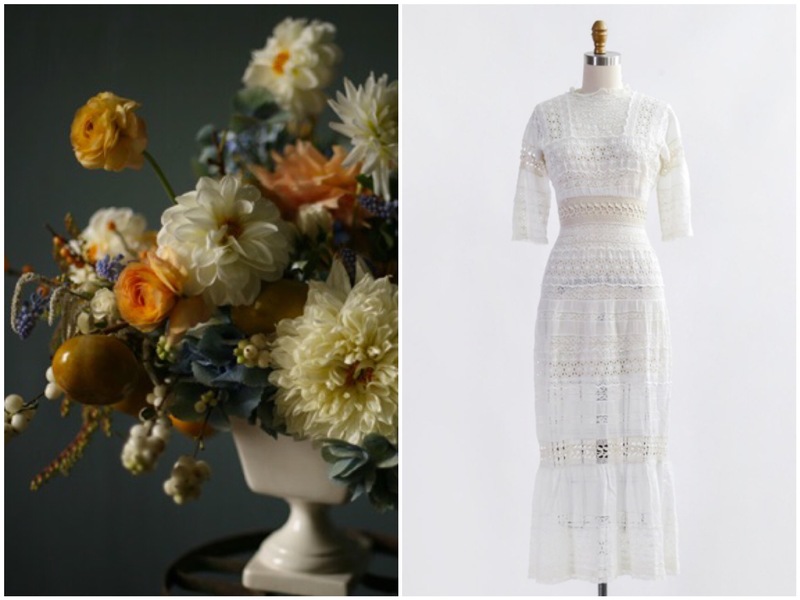 So, we paired together five dresses from our shop and some flower arrangements from florists we adore. 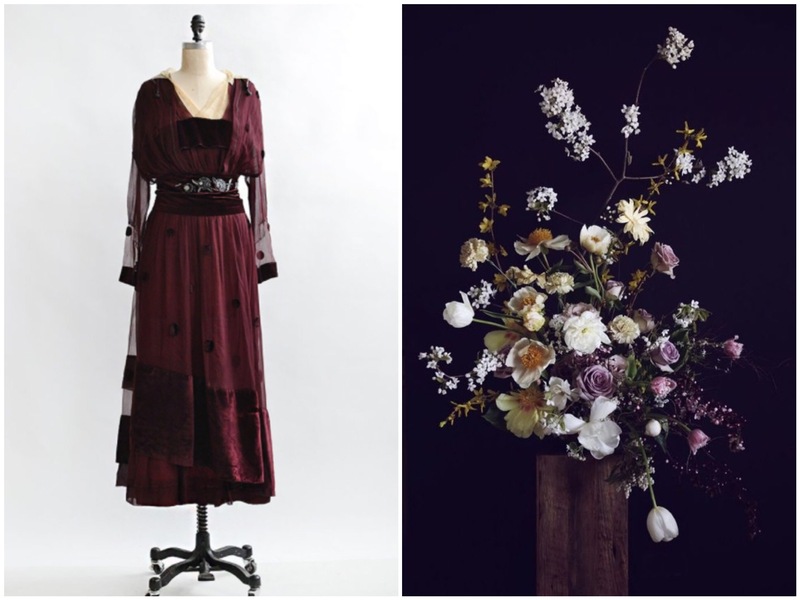 Our Hearken to Elegance Gown, in its rich, burgundy looks perfect with this moody, sculptural flower arrangement from Putnam & Putnam. We love how the color of this dress looks with these deep purples and hints of yellow. The sweet Gentle Motion Dress is made of the softest pink and softest silk. They’re actually separates, so the top can be worn separately from the bottom. We thought the sweetness of this pair looked perfect with this ruffly cream and pink RUE ANAFEL arrangement. It has a bit of whimsy, like it was plucked straight from an english garden. 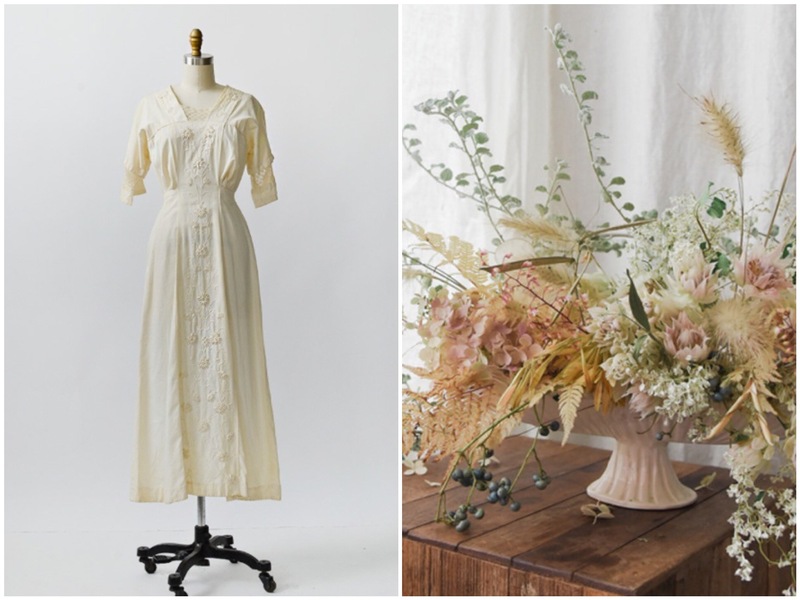 Our Modern Enchantments Dress is an Edwardian lawn dress. Its soft cotton is perfect for wearing on a warm day either lounging around the house or taking walks through nature. We paired it with this Sarah Winward arrangement, a bit wild and unruly which looks like it was foraged from a meadow in the mountains. Our romantic Bronte Parsonage Dress is made of beautiful antique lace. 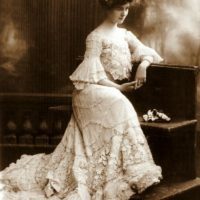 This would be a perfect wedding dress, so refined with its high neckline and fitted waist. We paired it with this arrangement by Amy Merrick. 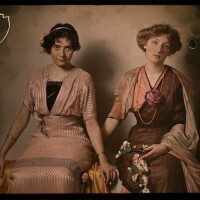 The pair both look straight out of a classic painting of a girl with flowers. We imagine a girl who lives in the country and love going on walks along the stream owning our Gossamer Whisper Dress. 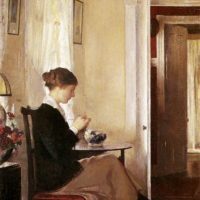 Her perfect day would be clipping flora sand foliage from around her home all day to come home right as the sun sets and place them in an antique vase she found at a local antique shop. 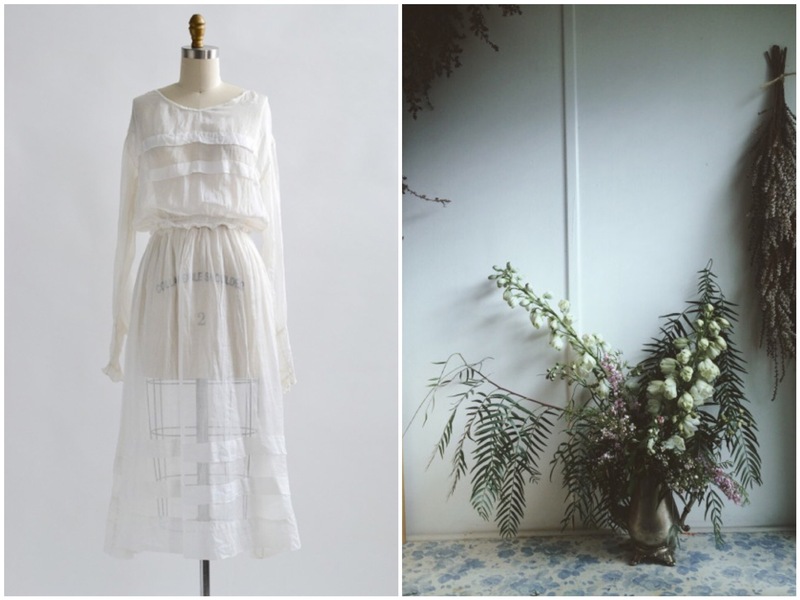 We paired this dress with an arrangement from Foxglove Botanicals, because its the exact arrangement we’d imagine her making.